Locksmiths in Scunthorpe offer a 24 Hour mobile key cutting service across north Lincolnshire from Scunthorpe to Barton-upon-Humber. We have numerous key blanks with key cutting equipment fitting into the van. All keys are cut with a 100% guarantee that they will work to perfection of the original key. Is your conservatory door sticking is the lock faulty? Locksmiths in Scunthorpe are UPVC Specialist whom can fix your conservatory lock and keep your doors working as they should 24 hours a day. Your local locksmith Ricky has most conservatory Muti point locking units, Handles and locks in stock to fit the same day so if it’s an emergency your door WILL be fixed the same day. Unfortunately locksmiths in Scunthorpe deals with burglary’s all the time making our knowledge high within this field. So if you’re unfortunate to need our post burglary service whether it’s FREE advice or to get your house back safe / safer with the highest security of locks. Burglary prevention devices give locksmiths in Scunthorpe a call now on 07740003187. 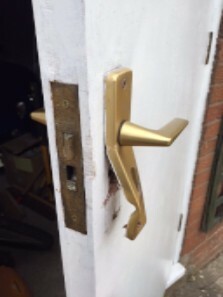 We fit safes, CCTV, Security Lights and even Fence spikes, Locksmiths in Scunthorpe will help make you feel safe again we have contacts within the police which allows us to keep up to date with all criminal activity in our area. uPVC doors and window locks are fitted with all meeting insurance regulations 24 hours a day. We fit door locks, Letter boxes, and Security chains and even handles. Locksmiths in Scunthorpe caters for all your uPVC door and window needs all coming with a 12 month 100% guarantee. We fit mortice locks to all wooden doors these locks are all British Standard and meet the latest regulations BS3621. These locks are all provided with insurance documentation should this be required. All locks come with 2 keys as standard and we will cut extra keys for you onsite for half the price. These locks are all 5 lever locks and come with a 12 month 100% satisfaction guarantee. Locksmiths in Scunthorpe supply and fit the latest high quality CCTV in Full HD with remote viewing and recording making sure you can keep your home safe. You can monitor your home from anywhere in the world 24 hours a day. This CCTV remote records if required so even if someone was to destroys the Hard Drive HDD the data is safe and can be used to get a prosecution. This level of CCTV can even allow you to see whom is at the door whilst you are in bed / on the sofa. Insuring you know whom you are opening the door to. Locksmiths in Scunthorpe have fitted these systems to both homes and business across North Lincolnshire. 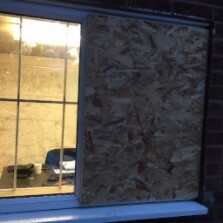 Has your window been smashed, damaged or Removed locksmiths in Scunthorpe can provide you with a window boarding service to re secured your window temporarily whilst the glass is being replaced. If your property is being left unoccupied and your worried about the safety of the inside and would like the windows boarding up give locksmiths in Scunthorpe a call for an emergency 24 hour locksmiths window boarding service on 07740003187. 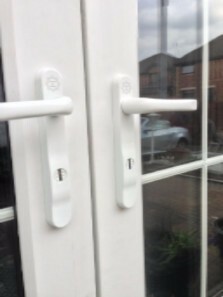 To provide extra security to your home or property locksmiths in Scunthorpe fit door bolt, bars and latches to insure your door is as safe as can be stopping the door being forced open when opening the door to unexpected guests. Have you broken a key in your lock? 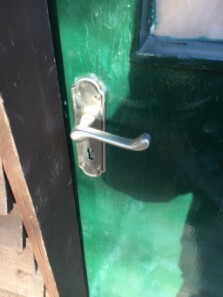 At locksmiths in Scunthorpe we are experts at removing broken keys from your lock without damaging the lock allowing you to use the lock still one the key is removed. looking for new locks? Moved into a new home? Wanting to increase your homes security? Locksmiths in Scunthorpe can replace and even upgrade your locks the same day. So if you’re worried about whom has keys for your house give locksmiths in Scunthorpe a call whom can replace them and reassure you that only you have keys to your home. Locksmiths in Scunthorpe are a totally mobile locksmiths allowing us to carry out work, fix your doors, make your door safe and even cut keys the same day whilst we are at your house. Making you safe that same day all with a fast response time of under 45 Minutes. We cater for all your residential needs from getting you back into your home to Increasing your levels of security you already have. Commercial lockouts we work closely with a number of big business in our area. 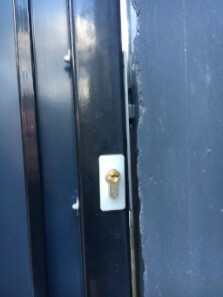 Where we have built a great client base and we are experts at getting your business open if you are unlucky enough to be locked out, lost the keys or the door just will not open. We will do this within a rapid response time so this will not affect your business. Would you like the benefits of having one key that opens all doors, out buildings and even padlocks. 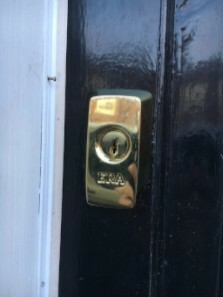 Locksmiths in Scunthorpe can provide this service to your home or company these lock are all available within 24 hours this fast high quality locksmiths service is 100% guaranteed by us and all available to the highest level of security you can expect from locksmiths in Scunthorpe. We have carried out a number of evictions for both beliefs and landlords where we gain entry and change the locks so only you the rightful owners have keys for the building. We can work closely with you and your business by becoming your preferred locksmiths and we will give you all the support you could require from key cutting to master key systems with the options to change to new locks or even expand the system you already have.